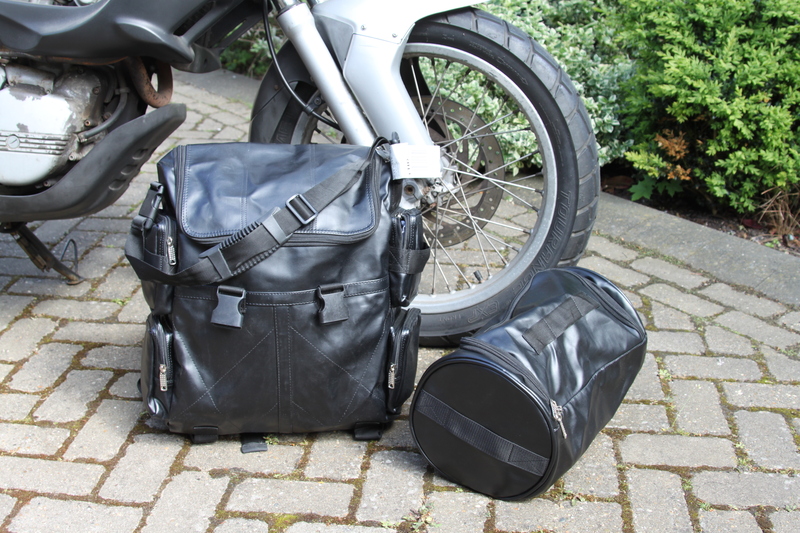 Many of you will have read my posts about fitting different types of hard panniers. I have always been of the view that panniers are safer because they are less tempting to thief. During our African trip I was happy to leave the panniers on the bikes when we visited a town or went shopping for food on one of our many stops. As usual with motorcycle travelling, there is a trade-off; in this case it is the size and weight they add to the bike. 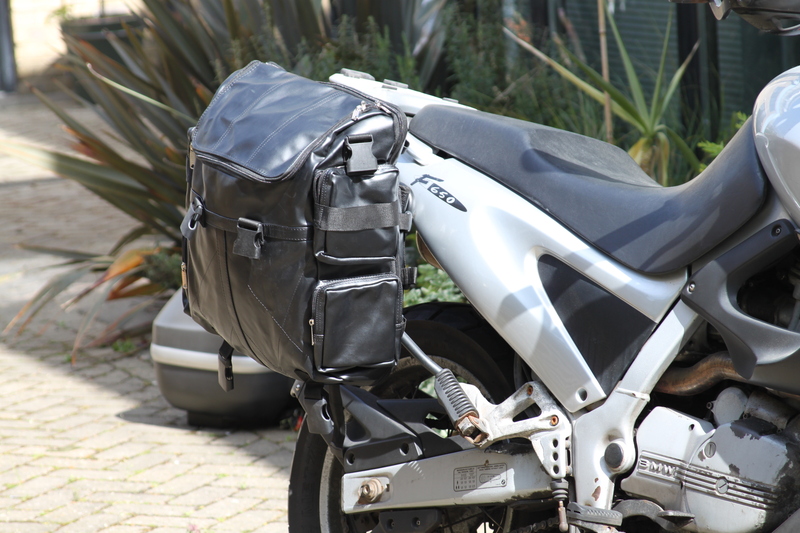 I have often wondered about soft luggage because we are seeing a real trend towards them in the adventure-biker community. I was recently in California again and was approached by a company called Motorcycle House. They are big in the US and are piercing in the UK market now. They asked me if I would review one of their bags and I said of course! This was the perfect opportunity to try out soft luggage and I chose to test one of the Viking Bags offered on Motorcycle House. I chose the Viking Aero Medium Expandable Sissy Bar Bags; I know; my bike doesn’t have a sissy-bar but seeing the pictures I was convinced I would be able to fix it to my bike thanks to its many straps. My first impression when I received the box was that it was very light; did they forget to put the bag in there? No, that’s what bags weigh; a nice surprise for me. The Viking Aero Medium Expandable Sissy Bar Bag is a very flexible luggage solution. The main bag has four side pockets to fill with the items you need to access quickly while the main pocket is easily large enough to carry cloths for a week’s travel. But if that’s not enough, you can expand the bag to give it an extra 20% capacity. What I really liked about it is the different carrying options you get. The bag comes with a shoulder strap and back-pack straps. In addition to this you also get a rain cover and a ton of mounting straps. Oh, and I nearly forgot to mention the roll bag which clips on top of the bag (or below I’ve found, if that fits your bike better). Whereas the Viking Aero Medium Expandable Sissy Bar Bag is, as its name points to, designed to attach to a sissy bar, I found many different ways to attach it to my dual sport bike. I managed to fix it strongly onto my back rack in three different ways and also to the side of the bike on my pannier rack. The Viking Aero Medium Expandable Sissy Bar Bag comes with so many different straps that you could attach it literally anywhere on your bike! One additional thing I found about the Viking Aero Medium Expandable Sissy Bar Bag is how convenient it is off the bike. We checked it in as luggage on our flight back to London and it travelled very well. It was also just the right size too to slip onto our suitcase handle which made carrying it around very easy. So, am I converted to soft luggage? I have to say that I am pleasantly surprised by this product. It is certainly a very convenient way to travel on a motorcycle. I would most definitely use it if I was flying to a holiday destination where I was renting a motorcycle (something I do often). I would also use it rather than my panniers if I was going on a weekend away to the seaside or riding somewhere overnight. 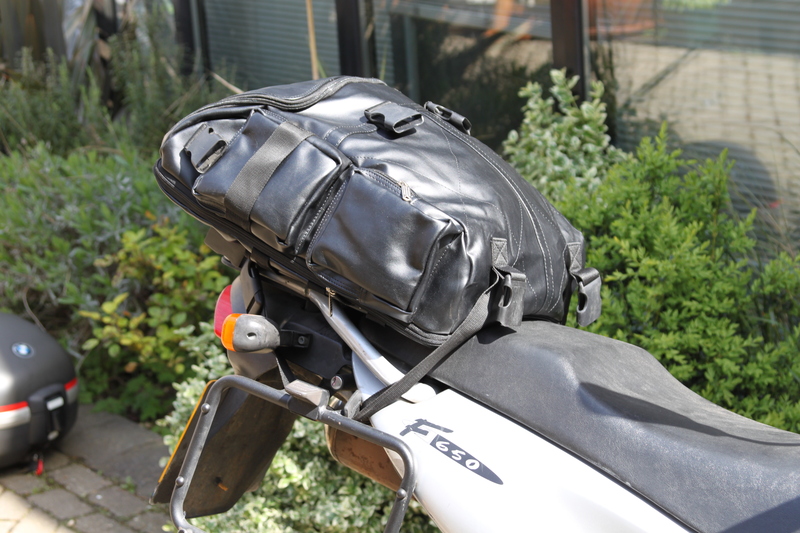 Unclipping the bag and throwing it on your shoulders definitely beats carrying bulky panniers around.